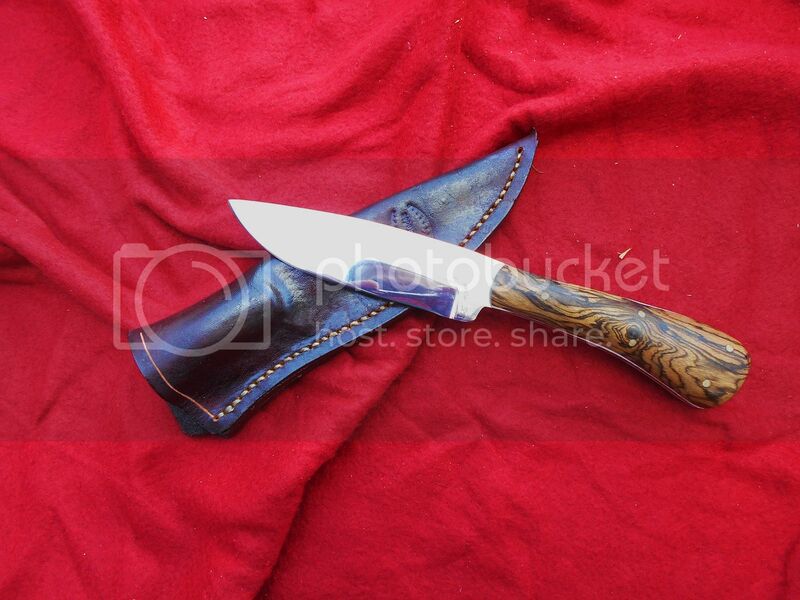 With a bigger looking handle on this one and bocote handles Sam is going to like the looks of this one. How long have you been in the shop recently? A lot of great looking knifes coming out. Nice! 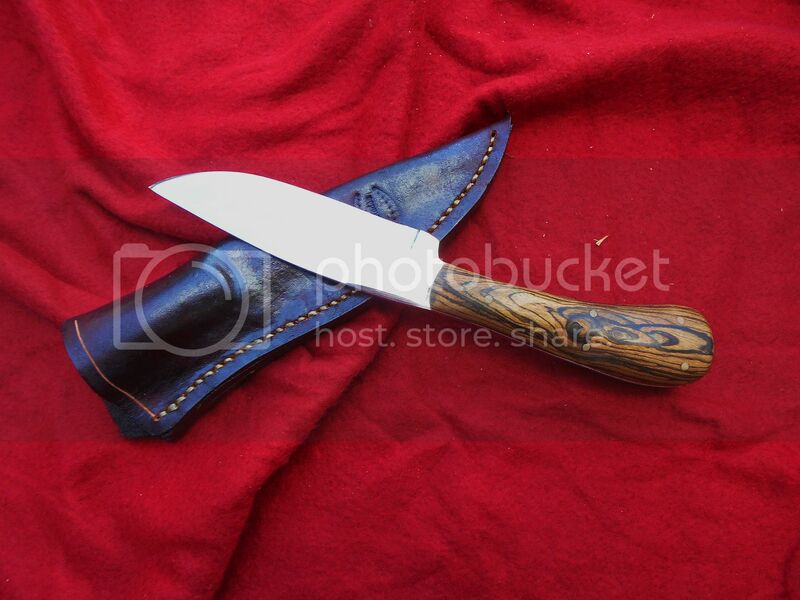 I love Bocote. You have been busy! the only shortcoming with this knife, is that the high polish makes it hard to photograph. 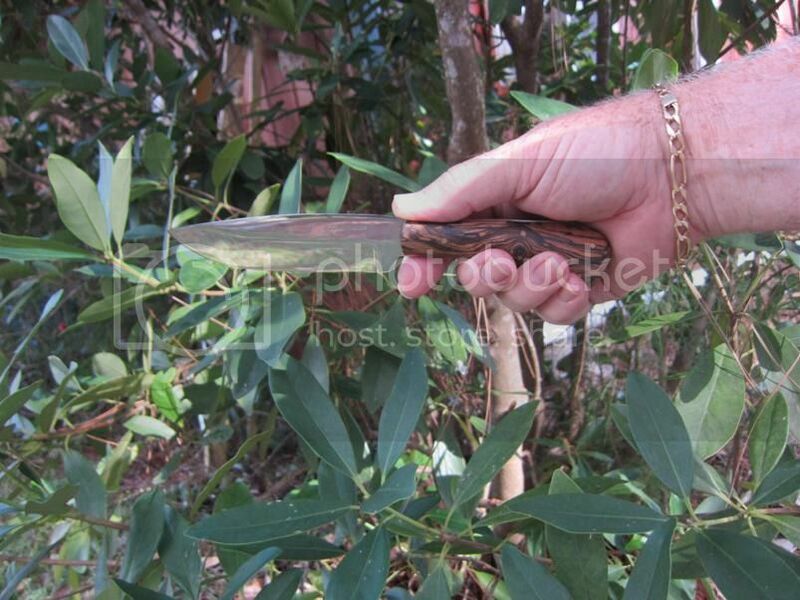 It is a great cutter, holds well in the hand, and holds an edge. I like it very much. The Bocote wood is really beautiful.